Do you have questions about who is the responsible party for construction injury accidents? Dedicated Buffalo accident lawyer Richard Nicotra explains in the following educational video. 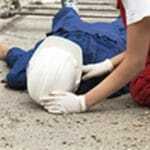 Contact one of our experienced personal injury lawyers in Buffalo NY if you were injured. We often get calls from people who are injured either on the job working construction site or even passers by to a construction site. They present very different claims. 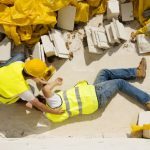 If you’re working on the job at a construction site and you’re working at an elevation, and you’re injured due to that elevated activity, you could have a personal injury case that is based on strict liability, meaning you focus on the extent and the nature of the losses and harms, and really can almost bypass the negligence issue if certain factors are in play. For those people passing by a construction site, the operator, the general contractor or the subcontractors must act in a manner prevent passers by from getting injured. From falling debris, for example, they have to use netting. If there are defects or if they’re tearing up certain parts of the ground, they have to have that fenced off appropriately; they have to have proper signs up; sometimes even flagmen on site to direct both cars and pedestrians away from dangerous areas.